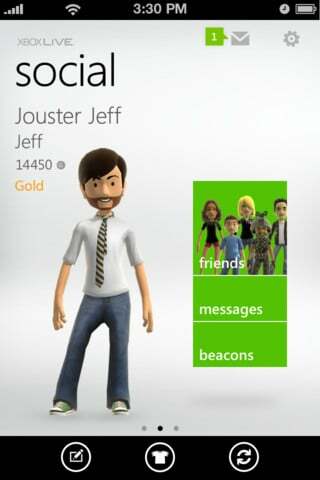 You can now mange your Xbox Live account using an iPhone, iPad or iPod touch with My Xbox LIVE app for iOS devices. Microsoft released My Xbox LIVE on Wednesday for iOS devices. This app allows you to read and send messages to your friends, manage and invite new friends, and view and compare your achievements with friends. My Xbox LIVE also lets you edit your Xbox live profile; it allows you to edit your full LIVE profile, and edit your avatar features and items. My Xbox LIVE is available in the App Store and can be downloaded for free. The app is compatible with iPhone, iPad and iPod touch running iOS 4.4 or later.